In 1974, we arrived in the seaside village of Morro Bay, California with a plan to open a working pottery studio and gallery. 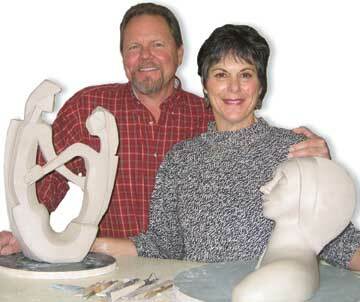 Ross had been working in clay since 1967 and Hedy, since 1970. We found a defunct laundromat which was perfect for a pottery studio. It took lots of elbow grease, but we were on our way. Today, we are active members in SLO county's art community. 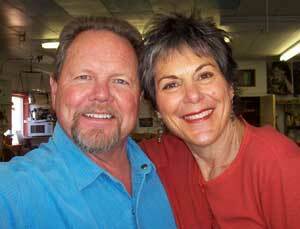 Ross previously taught ceramics at Cuesta College and through San Luis Obispo Adult Education. We, both, participate in Career Day demos at local high schools and volunteer teaching ceramics at Morro Elementary School. Students began asking for private lessons. 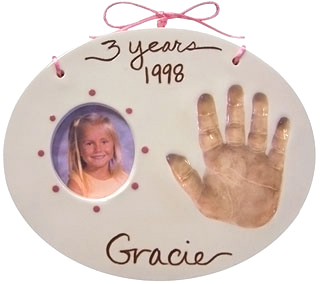 The demand became so great that we started offering evening pottery classes at the Full Moon Studio in Morro Bay, California.